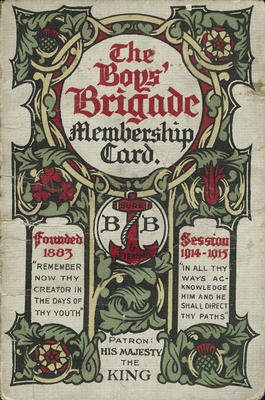 Boys' Brigade membership card, 1914-1915. The Glasgow Battalion and others in Britain were seriously affected by the departure of staff sergeants and officers to enlist in the armed forces during the First World War. 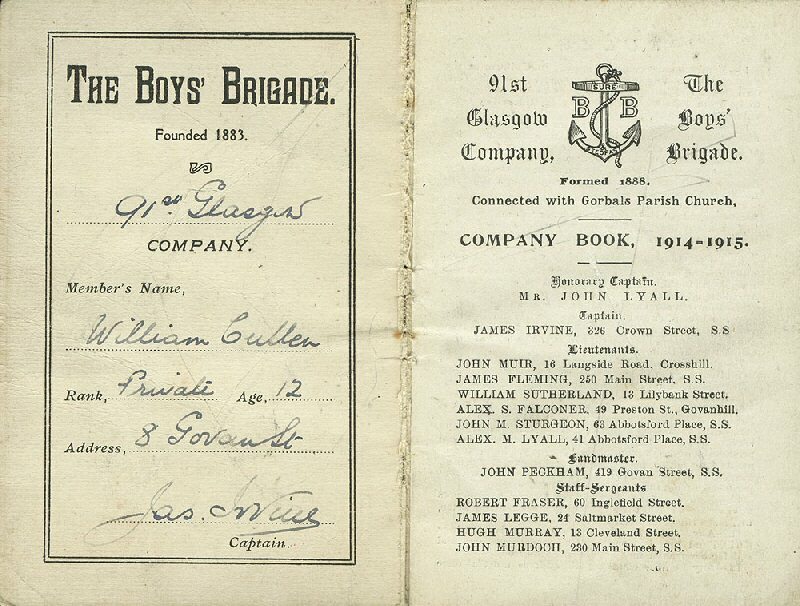 400,000 former members and officers of the Boys' Brigade served with the British forces during First World War. The l6th Service Battalion of The Highland Light Infantry was recruited entirely by the Glasgow Battalion of the Brigade. Which belonged to William Cullen aged 12. 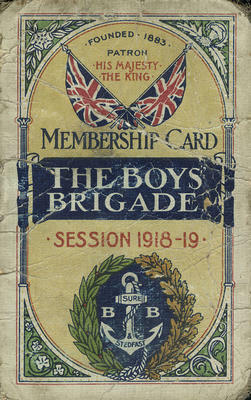 Boys' Brigade membership card, 1918-1919.